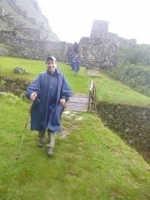 This Inca Trail had long been a dream of mine. Finally it is completed and what an experience it was ! This experience was more than I could have asked for ! Raul our tour guide was prompt but also was hilarious and made sure we had a great time. The food was amazing and delicious and more than enough. Everyone was attended to when needed, especially for all levels of hiking experience. I have become this adventure just to finish a dream but, day by day, this was not an end but an amazing time spent with friends and friendly time. I hope that this will be the beginning of a new way to intend the trip, with no importance for the objective but only for the trip. 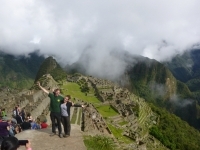 This Inca Trail has been the most unbelievable experience in my life ! The trek, food, scenery, guides, everything was excellent. We got really good food 3 times a day, which all was really nutritious and excellent. 1. The tour guides are amazing. 2. The porters will blow your mind with their skill and strong ability. 3. The trek will open your mind. This trek experience was more than I could have dreamt of. 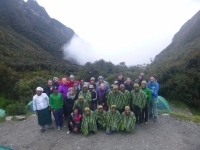 Not only did we have an amazing group of 16 trekkers from all over the world, but we had an amazing staff that truly made the experience what it was. This was an amazing experience ! 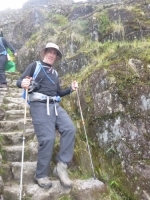 The booking was very easy to do online and Inca Trail Reservations was very punctual at returning emails. 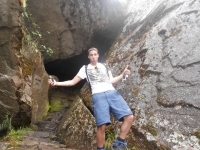 The guides are very knowledgeable as well as personable. 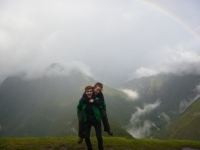 The porters are amazing and always keep your gear dry. The food is great and there is always lots to eat. Great time with some fellas and felletes. Had a good crew of people which made it one of the true memorable experiences of not only South America but life as well. The food and porters were excellent and make you truly question the power of the human spirit. Are they man or machine? Who knows? I came all the way from Australia and came for my honeymoon. It was one of the best experiences of my life. 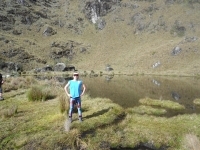 Was absolutely beautiful trekking through the Inca Trail... As for the company they were amazing. The tour guides I could not fault. They provided the history and helped in everything. This is an amazing adventure and I can't recommend it enough. 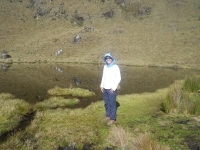 The guides (ask for Raul and Jorge) were amazing and showed expertise on the trek and the history of the area. I would suggest porters or to pack light, but either option just adds to the experience and the adventure. The meeting before the trek was informative and clear. 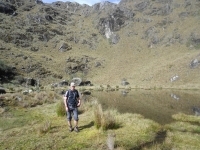 The guide gave time to all individuals and catered to our needs and request, very good ! A nice variety of dishes on the trail, was amazing. Wow ! 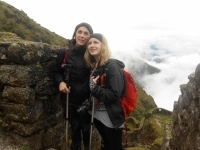 What an amazing journey we experienced with Inca Trail Reservations. 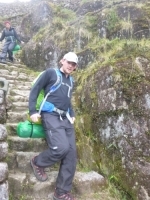 From the very first contact with Inca Trail Reservations they were quick, accurate and informative. 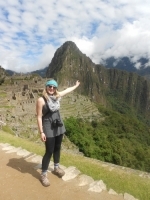 We did the 4 day Inca Trail trek to Machu Picchu and it was great ! We had a small group of 5 which was perfect because we had more focused attention from our guides and didn't have to wait long times for a big group to all arrive. 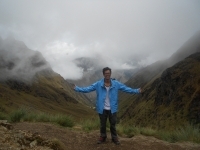 I really enjoyed my Inca Trail experience with Inca Trail Reservations. Our guide started by giving us a very thorough brief in Cusco, although the kit list missed out the very important rain poncho and coca leaves which were very important to bring. I cannot recommend this enough to anyone who loves nature or history. 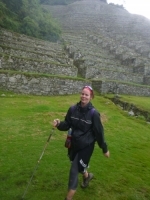 The walk along a trail 600 years old is only made better by the spectacular final destination, Machu Picchu ! You really feel as though you have left modern civilization behind and can just enjoy yourself and your surroundings.